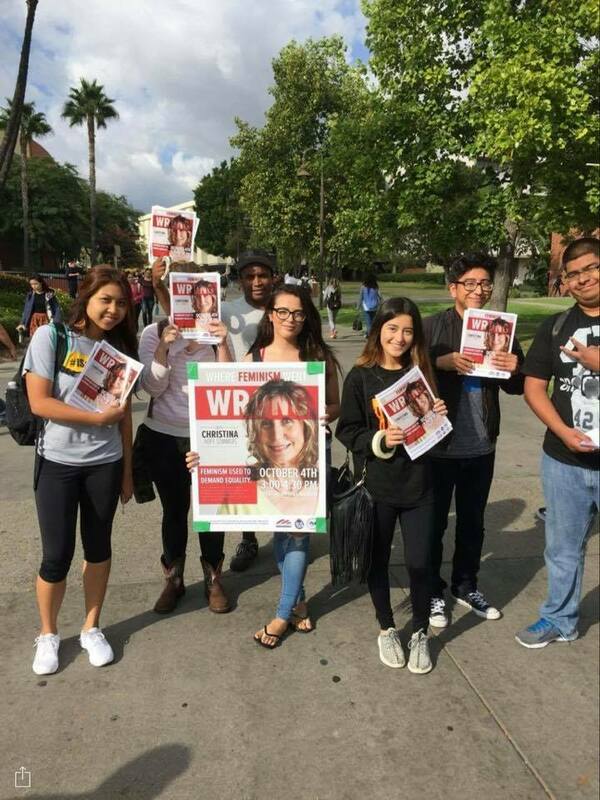 Thursday morning, members of the Young Americans for Freedom (YAF) chapter at California State University- Los Angeles (CSULA) caught a pair of disgruntled feminists on camera tearing down flyers advertising the group’s lecture with Christina Hoff Sommers scheduled for Oct. 4. 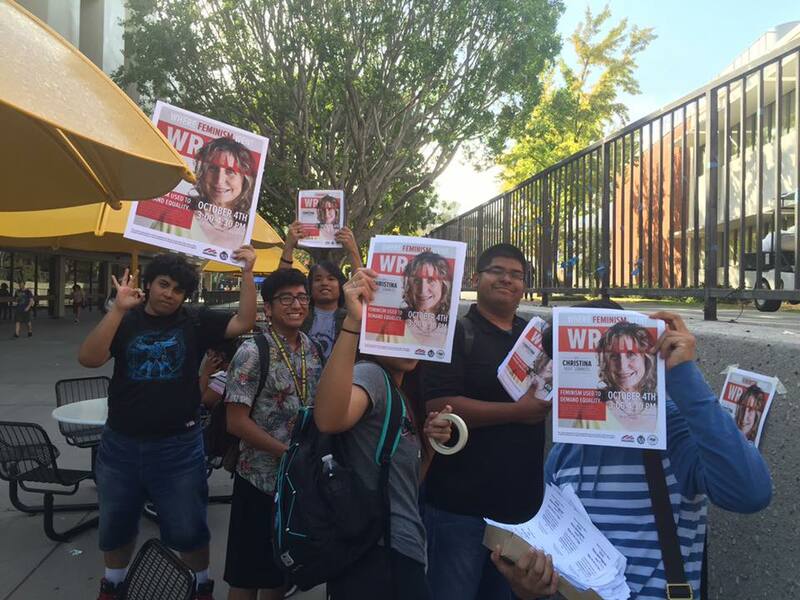 One of the feminists claimed removing the fliers was her First Amendment right. “This is my freedom of speech,” she said. 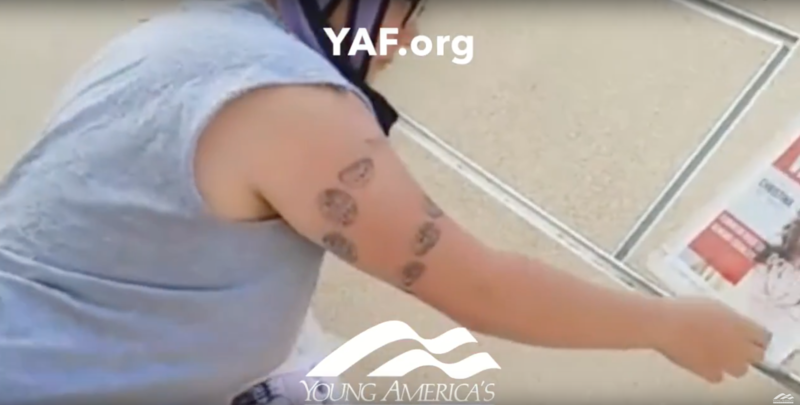 “So it’s freedom of speech to infringe on our freedom of speech?” the YAF student responded. 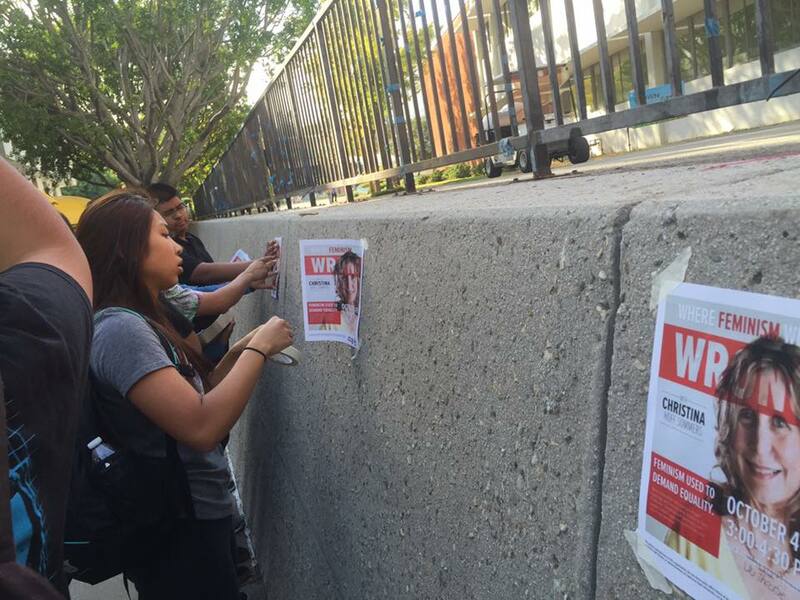 Thankfully, CSULA YAF printed thousands of fliers and is well-equipped to replenish the campus in the wake of desperate feminists vandalizing their property. 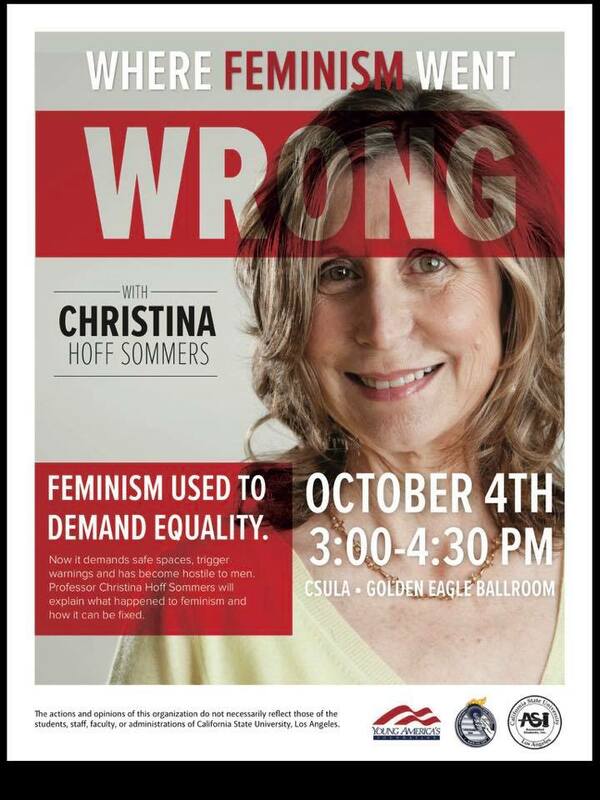 Their leftist classmates already had a public meltdown over the lecture and plan to protest Dr. Sommers’ speech. Don’t forget this is the bold chapter that hosted Ben Shapiro despite near riots erupting over the lecture last spring. 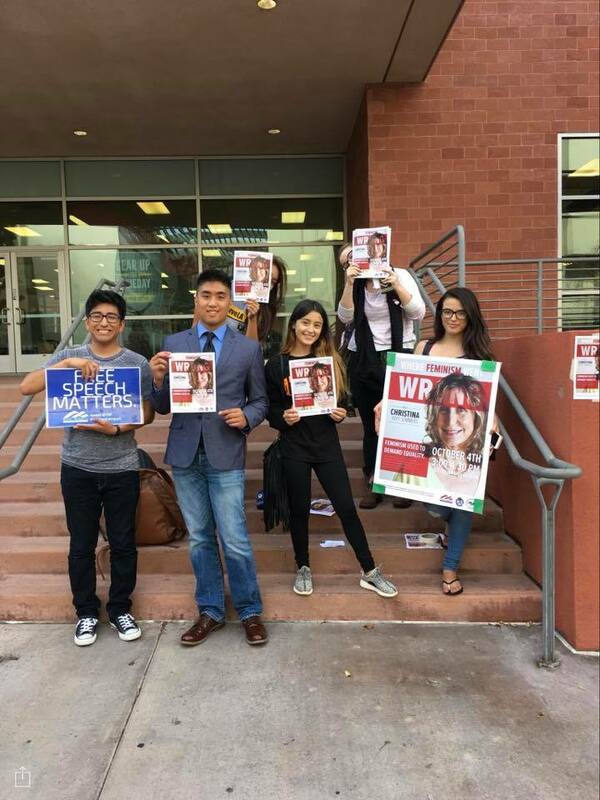 CSULA YAF does NOT back down to censorship and intimidation from tyrannical progressives. Check out these awesome pictures of the group preparing for the Oct. 4 lecture below. Dr. Sommers’ remarks will be live streamed on www.yaf.org.